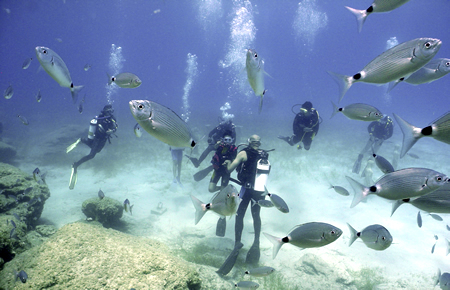 The waters of Turkey’s southern Mediterranean coast provide an excellent opportunity for an underwater adventure. 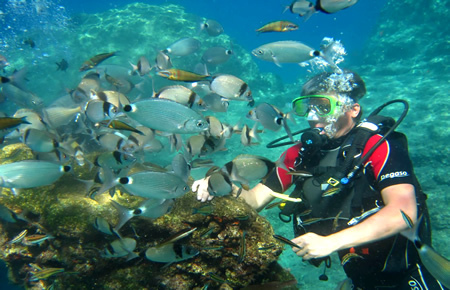 Enjoy recreational and professional dives at different sites plus lunch on this 8-hour excursion from Antalya and Kemer. 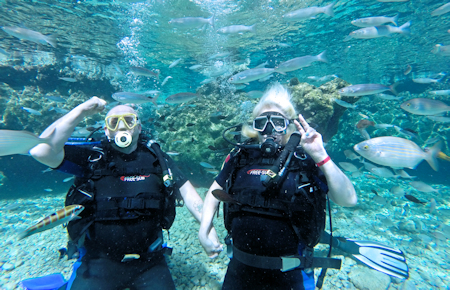 Both beginners and seasoned divers can explore the underwater life in clear waters. Before making the first dive the diving instructor will provide a briefing on the technical details of diving. Learn how to make use of your diving gear and then experience the colorful underwater life after a few skill tests. Swim with exotic fish and explore fascinating caves. Instructors ensure that the divers remain safe. It is possible to book the boat trip and lunch without the dives if you wish to join as a visitor.